We have performed at many events! As an opening act at NYC’s S.O.B.’s, a roster highlight at the Brooklyn Museum’s Target First Saturday event and the Bronx Museum’s Boogie on the Boulevard, to marching in major NYC parades including the NYC Dance Parade, The Dyke March, the Halloween Parade, entertaining fans at sporting events, and private affairs—lead by its exuberant and engaging director Stacy Kovacs, Fogo Azul’s thunderous heartbeat and unique energy is a must-have experience. 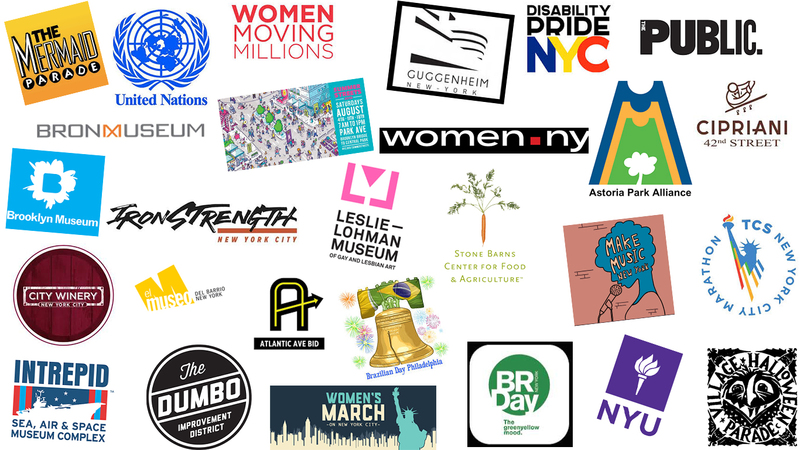 Check out some of the organizations we've performed for! NYC Halloween Parade LED Drumline Birds Eye View.